Early Detection saves lives! Detection tests and procedures should be personally tailored based on an individual’s condition. Consult with your doctor to determine what examinations are right for you. Here are a few tests and procedures that may be used. 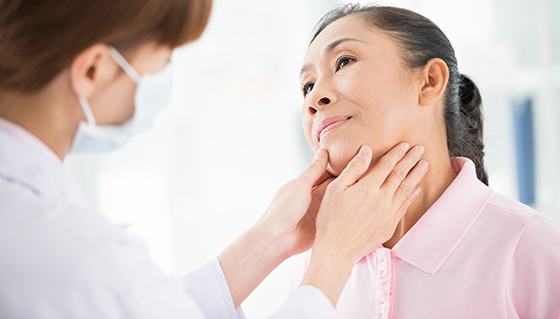 Physical Exam: An exam of the body to check general signs of health, including checking for signs of disease, such as swollen lymph nodes in the neck or anything else that seems unusual. Neurological Exam: The exam checks a person’s mental status, coordination, and ability to walk normally, and how well the muscles, senses, and reflexes work. This may also be called a neuro exam or a neurologic exam. Biopsy: The removal of cells or tissues so they can be viewed under a microscope by a pathologist to check for signs of cancer. MRI A procedure that uses a magnet, radio waves, and a computer to make a series of detailed pictures of areas inside the body. MRI A procedure that uses a magnet, radio waves, and a computer to make a series of detailed pictures of areas inside the body. CT or CAT scan: A procedure that makes a series of detailed pictures of areas inside the body, taken from different angles. The pictures are made by a computer linked to an x-ray machine. A dye may be injected into a vein or swallowed to help the organs or tissues show up more clearly. PET scan: A procedure to find malignant tumor cells in the body. A small amount of radioactive glucose (sugar) is injected into a vein. The PET scanner rotates around the body and makes a picture of where glucose is being used in the body. Malignant tumor cells show up brighter in the picture because they are more active and take up more glucose than normal cells do. PET scans may be used to find nasopharyngeal cancers that have spread to the bone. Blood chemistry studies: A procedure in which a blood sample is checked to measure the amounts of certain substances released into the blood by organs and tissues in the body. Complete blood count (CBC): A procedure in which a sample of blood is drawn and checked for: The number of red blood cells, white blood cells, and platelets; The amount of hemoglobin in the red blood cells; The portion of the blood sample made up of red blood cells.